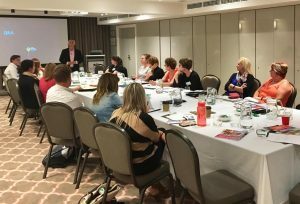 As TravelManagers gears up for its annual national conference in September, Australia’s leading personal travel manager network has enjoyed a pre-cursor with their first quarter round of state meetings across Australia. TravelManagers experienced strong personal travel manager attendance with record numbers achieved in both Adelaide and Sydney with a 35% and 10% increased attendance respectively. Michael Gazal, TravelManagers’ Executive General Manager believes consistency and providing relevance and adding value is the reason for maintaining extremely high participation rates across all states. 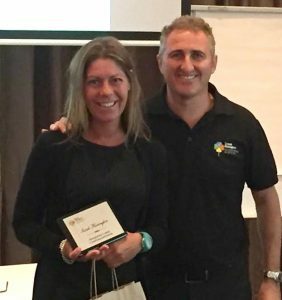 Victoria based personal travel managers Karin Evert representative for Strathmore and Mark Elevato representative for Werribee travelled to the Adelaide and Sydney state meetings respectively. Lauren Compton from Condon in Townsville attended the Sydney meeting and Tasmania based personal travel managers Mel Whyte and Cristina Millington attended the Melbourne state meeting. “The level of engagement of our personal travel managers with the company is so high that five personal travel managers travelled interstate to ensure they didn’t miss a meeting when they were unable to attend the scheduled one in their own region. This shows true commitment and dedication,” says Gazal. Gazal is proud that the TravelManagers’ state meetings are a winning formula with personal travel managers. “The feedback over the years from our personal travel managers has always been that our inclusive strategy, strong business focused agenda, large contingent from our national partnership office and hosting by our locally based business partnership managers really works. Despite a category four cyclone heading towards Queensland the day of the meeting and personal travel managers still attending in force, happy and eager to hear what is new for TravelManagers, we know we are on a winning formula with these meetings,” he says. 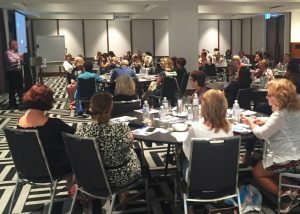 Hosted by the local state-based business partnership managers, the five regional meetings in Melbourne, Brisbane, Sydney, Adelaide and Perth had a strong business focus allowing the personal travel managers to network and focus on their 2017 goals. Each national partnership department was represented and updated personal travel managers on current activities and what is planned for the year ahead. 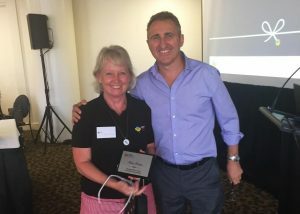 For Kim Mason, representative for Cronulla in New South Wales it was the best state meeting she’d been to. Similar sentiments are shared by personal travel manager Joe Queiruga, representative for Beaumaris in Victoria. TravelManagers also recognized fifteen personal travel managers for their five-year service at the state meetings. The fact that over thirty-eight percent of personal travel managers have been with the company for more than five years does not surprise Gazal. A select group of partner suppliers are invited to attend each state meeting. “The state meetings always provide a great opportunity for our partner suppliers to network directly with our personal travel managers. We were delighted to have Air New Zealand, Silversea and Total Holiday Options promote their products and unique selling points fostering greater supplier relationships,” says Gazal. A post meeting networking session hosted by Singapore Airlines proved an outstanding success. Singapore Airlines commenced the networking session with a brief presentation from the local representative in each state, followed by a chance for personal travel managers and national partnership office team members to mix and mingle. “As much as I really enjoy the business focused meeting agenda, I find the networking component with my colleagues an also extremely valuable part of the day. It’s a great way for information sharing and I love the opportunity to socialize in a relaxed and informal environment,” says Rose Febo, representative for Ascot in Queensland. A series of virtual state meetings were held via webinar for the personal travel managers who could not attend in person. “We follow up with state webinars so that everyone has the opportunity to be part of the partnership process and across new developments,” says Gazal. In addition to the state meetings and annual national conference, personal travel managers enjoy a range of networking and training opportunities throughout the year. “The national partnership office together with business partnership managers facilitate frequent regional meetings around suburban clusters and major centers in country areas, Regular supplier and technology training as well as multiple weekly webinars covering a wide range of both general and specialist subjects are ways in which we continually ensure our personal travel managers receive the latest information at a time and place that suits them best” says Gazal.